Monaco is the second smallest country in the world after Vatican. Monaco is a independent city-state on France’s Mediterranean located in the south-east of France. Since gaining its independence from the Republic of Genoa in 1297, Monaco has been ruled by the Grimaldi family, making that line the oldest ruling family in Europe. Monaco has a hot-summer Mediterranean climate, which is influenced by oceanic climate and humid subtropical climate. So, it has warm, dry summers and mild, rainy winters. Monaco is famous for race cars, casinos, luxury hotels, boutiques, night clubs and restaurants and attracts many tourists from all over the world every year. Prince’s Palace is the official residence for royal family of the Sovereign Prince of Monaco which built in 1191 as a fortress. The palace is a blend of architectural styles; its ancient origins are indicated by a lack of symmetry. Monaco Exotic Botanical Garden is built on a sloping rocky hill overlooking the Mediterranean, and some of its plants last for over a hundred years. There are more than 1000 plant species in this garden that most of them are cactus. This beautiful garden is one of most beautiful tourist destinations in Monaco which founded by King Albert I in the nineteenth century. 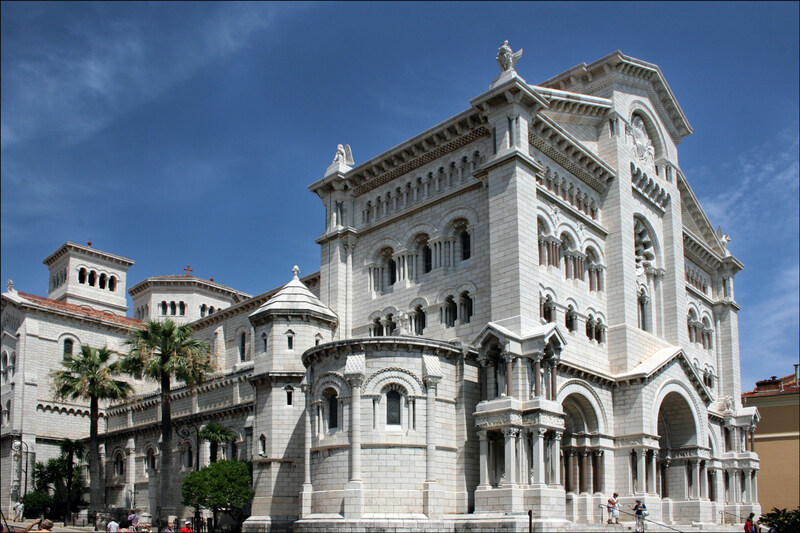 The cathedral of Monaco is dedicated to the Virgin, although popularly known as Saint Nicholas because of the church that previously stood on its site. The current building was built in the 19th century. The church was designed according to a Roman-Byzantine style.